Ubuntu (/ʊˈbʊntuː/) is a computer operating system based on the Debian distribution and distributed as free and open source software. It is named after the Southern African philosophy of Ubuntu ("humanity towards others"). Ubuntu is a fork of the Debian project's codebase. The original aim of the Ubuntu team was to create an easy-to-use Linux desktop with new releases scheduled on a predictable six-month basis, resulting in a more frequently updated system. Ubuntu's first release was on 20 October 2004. Since then, Canonical has released new versions of Ubuntu every six months with commitment to support each release for eighteen months by providing security fixes, patches to critical bugs and minor updates to programs. It was decided that every fourth release, issued on a two-year basis, would receive long-term support (LTS). LTS releases were traditionally supported for three years on the desktop and five years on the server. However with the upcoming release of Ubuntu LTS 12.04, desktop support is to be extended to a period of five years (April 2017) for LTS releases. Support was extended to better accommodate business and corporate IT users of Ubuntu who operate on longer release cycles and are more conscious of the costs associated with frequent software upgrades. The latest LTS release is Ubuntu 10.04 (Lucid Lynx), released on 29 April 2010, while the latest normal release is Ubuntu 11.10 (Oneiric Ocelot), released on 13 October 2011. Ubuntu packages are based on packages from Debian's unstable branch: both distributions use Debian's deb package format and package management tools (APT and Synaptic). Debian and Ubuntu packages are not necessarily binary compatible with each other, however, and sometimes .deb packages may need to be rebuilt from source to be used in Ubuntu. Many Ubuntu developers are also maintainers of key packages within Debian. Ubuntu cooperates with Debian by pushing changes back to Debian, although there has been criticism that this does not happen often enough. In the past, Ian Murdock, the founder of Debian, has expressed concern about Ubuntu packages potentially diverging too far from Debian to remain compatible. Before release, packages are imported from Debian Unstable continuously and merged with Ubuntu-specific modifications. A month before release, imports are frozen, and packagers then work to ensure that the frozen features interoperate well together. Ubuntu is currently funded by Canonical Ltd. On 8 July 2005, Mark Shuttleworth and Canonical Ltd. announced the creation of the Ubuntu Foundation and provided an initial funding of US$10 million. The purpose of the foundation is to ensure the support and development for all future versions of Ubuntu. Mark Shuttleworth describes the foundation as an "emergency fund" (in case Canonical's involvement ends). On 12 March 2009, Ubuntu announced developer support for 3rd party cloud management platforms, such as for those used at Amazon EC2. Ubuntu is composed of many software packages, the vast majority of which are distributed under a free software license. The only exceptions are some proprietary hardware drivers. The main license used is the GNU General Public License (GNU GPL) which, along with the GNU Lesser General Public License (GNU LGPL), explicitly declares that users are free to run, copy, distribute, study, change, develop and improve the software. On the other hand, there is also proprietary software available that can run on Ubuntu. Ubuntu focuses on usability, security and stability. 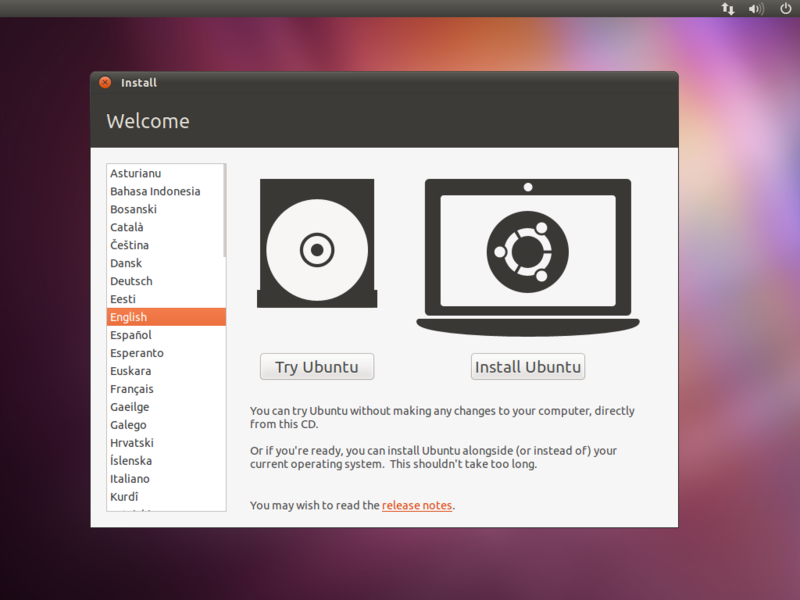 The Ubiquity installer allows Ubuntu to be installed to the hard disk from within the Live CD environment, without the need for restarting the computer prior to installation. Ubuntu also emphasizes accessibility and internationalization to reach as many people as possible. Beginning with 5.04, UTF-8 became the default character encoding, which allows for support of a variety of non-Roman scripts. As a security feature, the sudo tool is used to assign temporary privileges for performing administrative tasks, allowing the root account to remain locked, and preventing inexperienced users from inadvertently making catastrophic system changes or opening security holes. PolicyKit is also being widely implemented into the desktop to further harden the system through the principle of least privilege. Ubuntu Desktop includes a graphical desktop environment. In versions prior to 11.04 the default GUI was GNOME Shell but it was dropped in favor of Unity, a graphical interface Canonical first developed for the Ubuntu Netbook Edition. Ubuntu comes installed with a wide range of software that includes LibreOffice (OpenOffice in versions prior to 11.04), Firefox, Empathy (Pidgin in versions before 9.10), Transmission, GIMP (in versions prior to 10.04), and several lightweight games (such as Sudoku and chess). Additional software that is not installed by default can be downloaded and installed using the Ubuntu Software Center or the package manager Synaptic, which come pre-installed. Ubuntu allows networking ports to be closed using its firewall, with customized port selection available. End-users can install Gufw (GUI for Uncomplicated Firewall) and keep it enabled. GNOME (the former default desktop) offers support for more than 46 languages. Ubuntu can also run many programs designed for Microsoft Windows (such as Microsoft Office), through Wine or using a Virtual Machine (such as VMware Workstation or VirtualBox). Ubuntu, unlike Debian, compiles their packages using gcc features such as PIE and Buffer overflow protection to harden their software. These extra features greatly increase security at the performance expense of 1% in 32 bit and 0.01% in 64 bit. The desktop version of Ubuntu currently supports the x86 32 bit and 64 bit architectures. Unofficial support is available for the PowerPC,y IA-64 (Itanium) and PlayStation 3 architectures (note however that Sony officially removed support for OtherOS on the PS3 with firmware 3.21, released on 1 April 2010), as well as ARM mobile processors (see HTC HD2). A supported GPU is required to enable desktop visual effects, including the Unity shell. In case such a GPU is not available the GUI falls back to a 2D version of Unity. Tests reveal that among the four major desktop environments, a default installation of Ubuntu has the lowest possible memory utilization when used with LXDE 0.5, with Xfce 4.6 ranking second and GNOME 2.29 third, while the desktop with the highest RAM usage is KDE 4.4. Installation of Ubuntu is generally performed with the Live CD or can be installed via a Live USB drive. The Ubuntu OS can be run directly from the CD (sometimes with a significant performance loss), allowing a user to "test-drive" the OS for hardware compatibility and driver support. The CD also contains the Ubiquity installer, which can then guide the user through the permanent installation process. CD images of all current and past versions are available for download at the Ubuntu web site. Installing from the CD requires a minimum of 256 MiB of RAM. Users can download a disk image (.iso) of the CD, which can then either be written to a physical medium (CD or DVD), or optionally run directly from a hard drive (via UNetbootin or GRUB). Ubuntu is also available on ARM, PowerPC, SPARC, and IA-64 platforms, although none are officially supported. Canonical offered Ubuntu and Kubuntu Live installation CDs of the latest distribution of the operating system at no cost (though discontinued as of April 2011), including paid postage for destinations in most countries around the world (via a service called ShipIt). Various third-party programs such as remastersys and Reconstructor are available to create customised copies of the Ubuntu Live CDs. A Microsoft Windows migration tool, called Migration Assistant (introduced in April 2007), can be used to import bookmarks, desktop background (wallpaper), and various settings from an existing MS Windows installation into a new Ubuntu installation. Ubuntu and Kubuntu can be booted and run from a USB Flash drive (as long as the BIOS supports booting from USB), with the option of saving settings to the flashdrive. This allows a portable installation that can be run on any PC which is capable of booting from a USB drive. In newer versions of Ubuntu, the USB creator program is available to install Ubuntu on a USB drive (with or without a LiveCD disc). Wubi, which is included as an option on the Live CD, allows Ubuntu to be installed and run from within a virtual Windows loop device (as a large image file that is managed like any other Windows program via the Windows Control Panel). This method requires no partitioning of a Windows user's hard drive. Wubi also makes use of the Migration Assistant to import users' settings. It also incurs a slight performance loss. Ubuntu divides all software into four domains to reflect differences in licensing and the degree of support available. Some unsupported applications receive updates from community members, but not from Canonical Ltd.
Free software includes only software that has met the Ubuntu licensing requirements, which roughly correspond to the Debian Free Software Guidelines. Exceptions, however, include firmware and fonts, in the Main category, because although they are not allowed to be modified, their distribution is otherwise unencumbered. The -updates repository provides stable release updates (SRU) of Ubuntu and are generally installed through update-manager. Each release is given its own -updates repository (e.g. intrepid-updates). The repository is supported by Canonical Ltd. for packages in main and restricted, and by the community for packages in universe and multiverse. All updates to the repository must meet certain requirements and go through the -proposed repository before being made available to the public. Updates will continue to be available until the end of life for the release. Canonical's partner repository lets vendors of proprietary software deliver their products to Ubuntu users at no cost through the same familiar tools for installing and upgrading software. The software in the partner repository is officially supported with security and other important updates by its respective vendors. Canonical supports the packaging of the software for Ubuntu and provides guidance to vendors. The partner repository is disabled by default and can be enabled by the user. Some popular products distributed via the partner repository as of August 2010 are Adobe Flash Player, Adobe Reader, Skype and Sun Java. Ubuntu has a certification system for third party software. Some third-party software that does not limit distribution is included in Ubuntu's multiverse component. The package ubuntu-restricted-extras additionally contains software that may be legally restricted, including support for MP3 and DVD playback, Microsoft TrueType core fonts, Sun's Java runtime environment, Adobe's Flash Player plugin, many common audio/video codecs, and unrar, an unarchiver for files compressed in the RAR file format. Additionally, third party application suites are available for purchase through the Canonical web-based store, including software for DVD playback and media codecs. Ubuntu releases are also given alliterative code names, using an adjective and an animal (e.g., "Dapper Drake" and "Intrepid Ibex"). With the exception of the first three releases, code names are in consecutive alphabetical order, allowing a quick determination of which release is newer. "We might skip a few letters, and we'll have to wrap eventually." says Mark Shuttleworth while describing the naming scheme. Commonly, Ubuntu releases are referred to using only the adjective portion of the code name. Releases are timed to be approximately one month after GNOME releases (which in turn are about one month after releases of X.org). Consequently, every Ubuntu release comes with an updated version of both GNOME and X.
Upgrades between releases have to be done from one release to the next release (e.g. Ubuntu 10.04 to Ubuntu 10.10) or from one LTS release to the next LTS release (e.g. Ubuntu 8.04 LTS to Ubuntu 10.04 LTS). The previous release is 10.10 (Maverick Meerkat), released on 10 October 2010 (10/10/10). This is a departure from the traditional schedule of releasing at the end of October to get "the perfect 10", and a playful reference to The Hitchhiker's Guide to the Galaxy, since, in binary, 101010 is equal to the number 42, the "Answer to the Ultimate Question of Life, the Universe and Everything" within the series. Ubuntu 11.04 was released on 28 April 2011, and is code named "Natty Narwhal". The desktop interface of this release significantly differs from the previous releases because Unity was introduced as the default GUI. It is possible to switch into "classic" GUI (GNOME Shell) but this feature was initially buggy. The new GUI has received strong criticism from some users as too different from and less capable than GNOME, while other users have found they prefer the new approach and the minimalism compared to the older desktop paradigm. 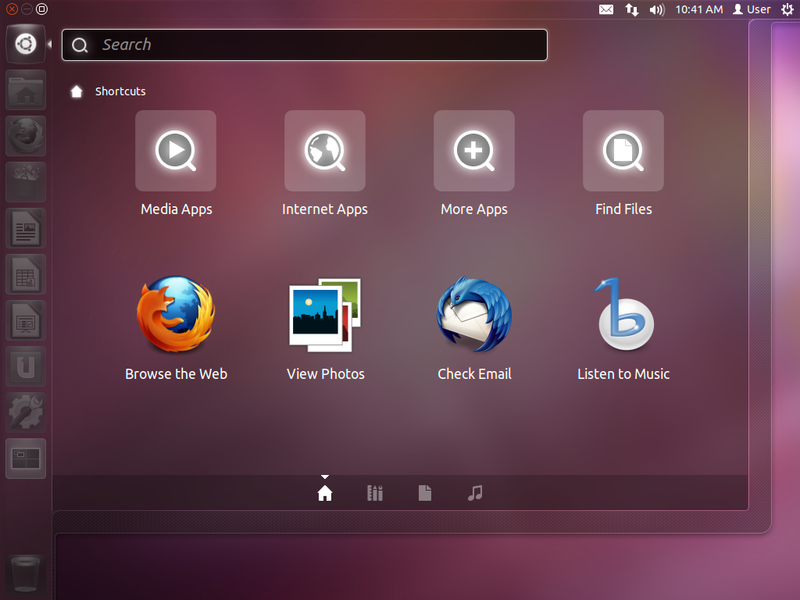 Ubuntu Desktop, designed for desktop and laptop PCs. (Formerly there was also Ubuntu Netbook Edition, designed for netbooks and other ultra-portables with screens up to 10", but it was discontinued as its user interface and functionality was integrated into the desktop edition.) The desktop edition can be also installed using the alternate install CD which uses the debian-installer and allows performing certain specialist installations of Ubuntu: setting up automated deployments, upgrading from older installations without network access, LVM and/or RAID partitioning, installs on systems with less than about 256 MiB of RAM (although note that low-memory systems may not be able to run a full desktop environment reasonably). Ubuntu Server, made for use in servers. The server install CD allows the user to install Ubuntu permanently on a computer for use as a server. It will not install a graphical user interface. There are many Ubuntu variants (or derivatives) based on the official Ubuntu editions. These Ubuntu variants install a set of packages that differ from the official Ubuntu distributions. 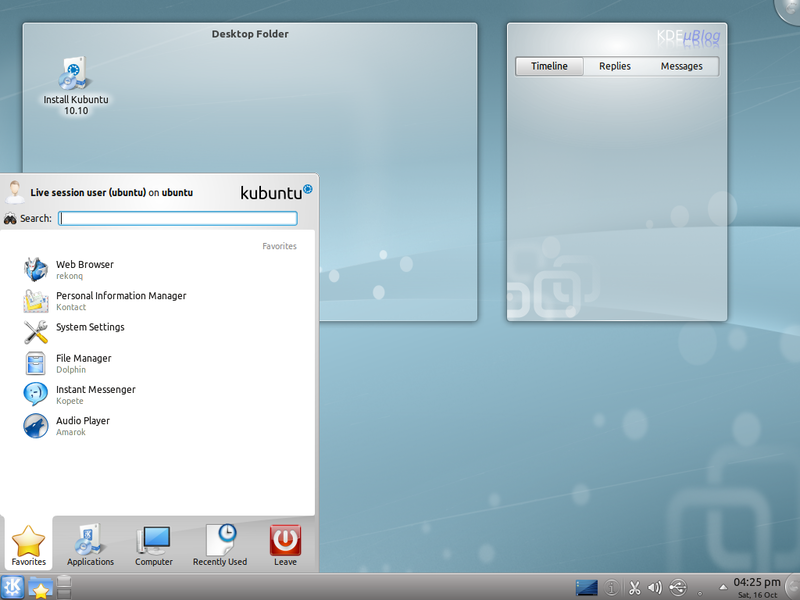 Edubuntu, a GNOME-based subproject and add-on for Ubuntu, designed for school environments and home users. 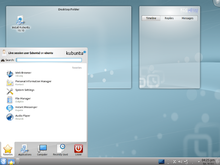 Kubuntu, a desktop distribution using the KDE Plasma Workspaces desktop environment rather than GNOME. Lubuntu, a lightweight distribution using the LXDE desktop environment. Mythbuntu, designed for creating a home theater PC with MythTV and uses the Xfce desktop environment. Ubuntu Studio, a distribution made for professional video and audio editing, comes with higher-end free editing software and is a DVD .iso image unlike the Live CD the other Ubuntu distributions use. Xubuntu, a distribution based on the Xfce desktop environment instead of GNOME, designed to run more efficiently on low-specification computers. 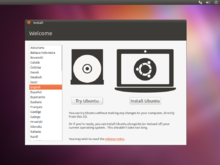 Mythbuntu, Ubuntu Studio, Xubuntu and Gobuntu are not commercially supported by Canonical. Other variants are created and maintained by individuals and organizations outside of Canonical and they are self governed projects that work more or less closely with the Ubuntu community. Ubuntu also offers its operating system in a server edition. The current version is Ubuntu 10.04 Long Term Support (LTS) release, which will receive continued updates until April 2015. These include updates to support new features of the latest computing hardware, security patches and updates to the 'Ubuntu stack' (cloud computing infrastructure). 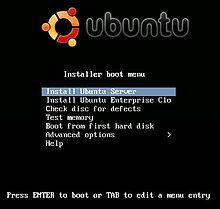 Ubuntu 10.04 Server Edition will also run on VMware ESX Server, Oracle's VirtualBox and VM, Citrix Systems XenServer hypervisors, as well as Kernel-based Virtual Machine. Ubuntu uses AppArmor security module for the Linux kernel which is turned on by default on key software packages, and the firewall is extended to common services used by the operating system. The home and Private directories are also encrypted. The 10.04 server version includes MySQL 5.1, Tomcat 6, OpenJDK 6, Samba 3.4, Nagios 3, PHP 5.3, Python 2.6. Many of its services only take 30 minutes to configure. Ubuntu 10.04 LTS Server Edition supports two major architectures: Intel x86 and AMD64. The server edition provides features such file/print services, web hosting, email hosting, etc. There are a few differences between the Ubuntu Server Edition and the Ubuntu Desktop Edition although both use the same apt repositories. The main difference between the two editions is the lack of a default installation of a X window environment in the server edition, although GUIs can be installed like GNOME/Unity (Ubuntu 11.04), KDE (Kubuntu 11.04), XFCE, (Xubuntu 11.04), as well as more resource-economical GUIs such as Fluxbox, Openbox and Blackbox. Kernel versions also differ. The server edition uses a screen mode character based interface for the installation, instead of a graphical installation process. 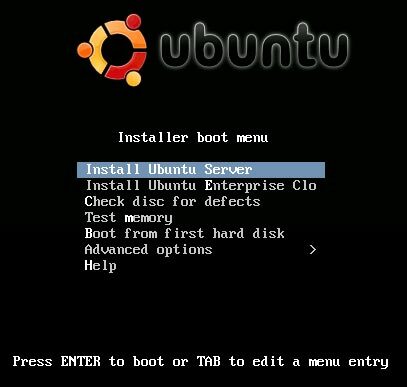 The server CD also has the option of installing Ubuntu enterprise cloud. Ubuntu Server is also distributed free of charge. Users can choose to pay for consulting and technical support. Annual support contract with 9x5 business hour support is about $750 per server, and a contract covering 24x7 over a year costs $1,200. Ubuntu Server Edition offers technology and resources to make a private or public cloud. Ubuntu Enterprise Cloud (UEC) provides virtualization capability, applications and flexibility to help deploy a cloud within an organization. It consists of the open core Eucalyptus, libvirt, KVM or Xen virtualization technology. Ubuntu 11.04 adds support for OpenStack, and Eucalyptus to OpenStack migration tools will be released by Canonical in Ubuntu Server 11.10. 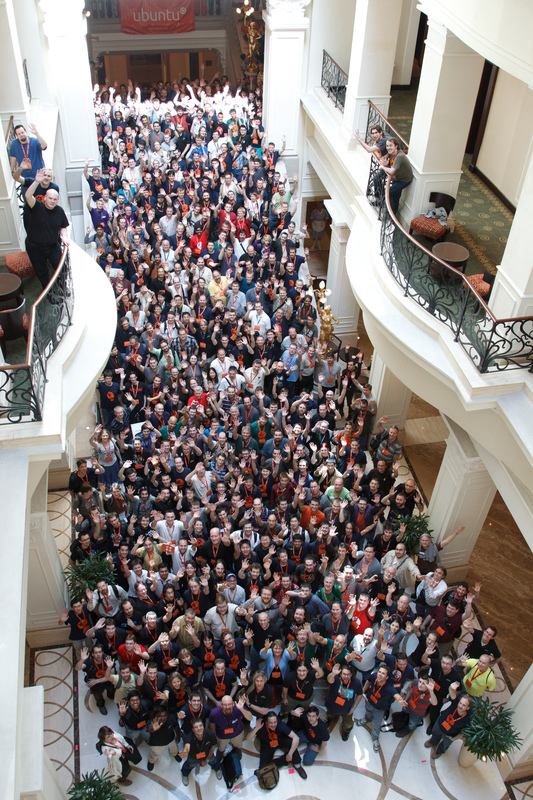 The Ubuntu Developer Summit (UDS) is a gathering of software developers which occurs prior to the release of a new public version of Ubuntu. Chris Kenyon, vice president for OEM at Canonical Ltd., indicates that because of a lack of registration, any numbers provided for Ubuntu distributions should be treated as estimates. Nevertheless, a number of estimates and the results of surveys have been provided. In an August 2007 survey of 38,500 visitors on DesktopLinux.com, Ubuntu was the most popular distribution with 30.3% of respondents claiming to use it. In January 2009, The New York Times reported that Ubuntu had over ten million users. In June 2009 ZDNet reported, "Worldwide, there are 13 million active Ubuntu users with use growing faster than any other distribution. ", though Kenyon provided a more conservative estimate of 12 million users in April 2010. Ubuntu was awarded the Reader Award for best Linux distribution at the 2005 LinuxWorld Conference and Expo in London, received favorable reviews in online and print publications, and has won InfoWorld's 2007 Bossie Award for Best Open Source Client OS. In early 2008 PC World named Ubuntu the "best all-around Linux distribution available today", though it criticized the lack of an integrated desktop effects manager. The public sector has also made use of Ubuntu. The Ministry of Education and Science of Republic of Macedonia deployed more than 180,000 Ubuntu GNU/Linux based classroom desktops, and has encouraged every student in the country to use Ubuntu-powered computer workstations. In the beginning of 2008, having successfully deployed 13,000 Fedora Linux systems in schools in the Philippines, ASI, an independent Linux consultant company, was contracted to provide 10,000 Ubuntu systems for schools. The French police, having already started using open source software in 2005 by replacing Microsoft Office with OpenOffice.org, decided to transition to Ubuntu from Windows XP after the release of Windows Vista in 2006. By March 2009, the Gendarmerie Nationale had already switched 5000 workstations to Ubuntu. Based on the success of that transition, it planned to switch 15,000 more over by the end of 2009 and to have switched all 90,000 workstations over by 2015. Lt. Colonel Guimard announced that the move was very easy and allowed for a 70% saving on the IT budget without having to reduce its capabilities. In 2008, Jamie Hyneman, co-host of the American television series Mythbusters, advocated Linux (specifically giving the example of Ubuntu) as an alternative operating system, citing software bloat as a major hurdle in Microsoft Windows. Other celebrity users of Ubuntu include science fiction writer and open content proponent Cory Doctorow. According to Softpedia, Ubuntu 10.04 was adopted by the Indian Justice system in 2011. In an effort to reach out to users who are less technical, and to foster a sense of community around the distribution, Local Communities, better known as "LoCos", have been established throughout the world. Originally, each country had one LoCo Team. However, in some areas, most notably the United States, each state or province may establish a team. A LoCo Council approves teams based upon their efforts to aid in either the development or the promotion of Ubuntu. A number of vendors offer computers with Ubuntu pre-installed, including Hasee, Dell, Tesco, OP3, Gliese IT, System76, Sharp Corporation and the South African company Bravium Computers. Dell and System76 customers are able to choose between 30-day, three-month, and yearly Ubuntu support plans through Canonical. Dell computers (running Ubuntu 10.04) include extra support for ATI Video Graphics, Dell Wireless, Fingerprint Readers, HDMI, Bluetooth, DVD playback (using LinDVD), and MP3/WMA/WMV. Asus is also selling some Asus Eee PCs with Ubuntu pre-installed, namely the 1001PXD, 1011PX and 1015PX models, announcing that "many more" Eee PC models running Ubuntu will be available in 2011. Vodafone has made available a notebook for the South-African market called "Webbook".